Prior to OIF and OEF, few Soldiers in the conventional Army considered the training of indigenous forces one of their missions. The US Army’s Special Forces have long had this task as a core function. However, as OEF demonstrated in early 2003, even before OIF began, the potential scope of this mission exceeds the capacity of Special Operations Forces. Training and advising foreign soldiers in basic and small unit combat skills is difficult. The experience of the CPA and the Multi-National Security Transition Command–Iraq (MNSTC-I) with training and equipping the Iraqi Security Forces (ISF) makes it clear that the mission to rebuild a host nation’s military units, security forces, and infrastructure requires an extremely large and robust program that is supported by many agencies of the US Government. Not until late 2004 did the DOD and the US Government create and begin to resource a program that met Iraq’s security requirements. DOD’s unit advisory efforts were similarly lacking. The performance of the ISF in 2004 indicates that the size of the Advisor Support Teams (ASTs) were too small to provide the necessary degree of coaching, mentoring, and battlefield determination. Some of the Soldiers assigned to this mission did not have the requisite tactical experience to advise ground units in combat. Training for these teams in late 2003 and 2004 was inadequate, despite improvements made at US training centers and in Kuwait and Iraq. Not until mid-2005 was a comprehensive training program put in place under FORSCOM and MNSTC-I to prepare Soldiers and teams for this most important and dangerous task. 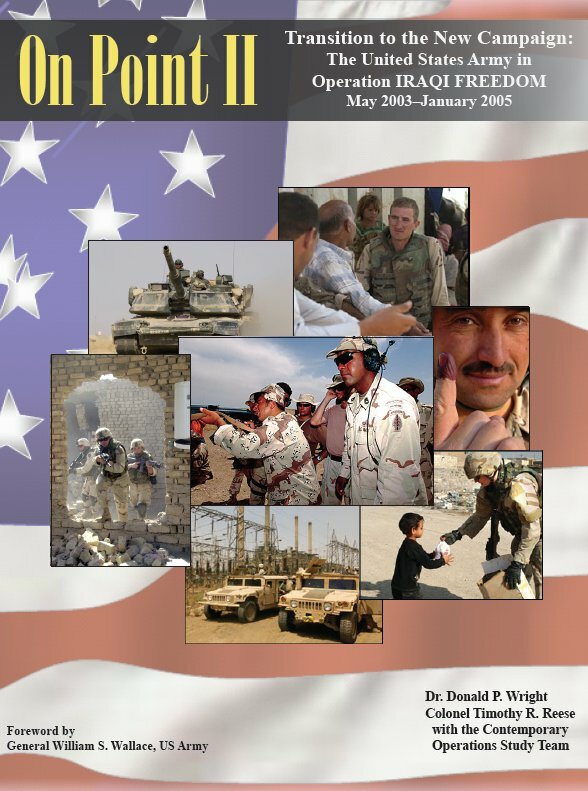 Tactical, logistical, and medical coordination between US advisors, their Iraqi units, and US units in Iraq was inadequate during much of 2004. US advisors frequently found themselves without critical aspects of support despite operating near or with US and Coalition forces. These problems were not unprecedented and could have been foreseen. Indeed, these deficiencies in supplies and coordination would have been familiar to Soldiers and Marines who served as military advisors in Vietnam in the 1960s. Still, only in 2005 did MNSTC-I establish the Iraqi Assistance Group to provide coordination between US units and US advisors assigned to Iraqi units operating under the control of Multi-National Corps–Iraq (MNC-I). The history of the security training programs in Iraq suggest that the Army needs to maintain a core of cadre, doctrine, and training programs of instruction for advising indigenous forces that can be expanded when needed. Special Operations Forces will continue to perform this mission on a regular basis in peace and in war. But when the requirement is to train, equip, and advise the armed forces of an entire nation, the conventional Army must be able to more quickly take on that mission. This is especially true when the strategic goals include fundamental societal change in the region of conflict. The conventional Army has had extensive experience with this mission since the end of World War II; signs suggest that it will be even more prevalent in the future. The establishment in 2006 of the Joint Center for International Security Force Assistance at Fort Leavenworth, Kansas, is a step in the right direction. The Foreign Security Forces Training Program, run by the 1st Infantry Division at Fort Riley, Kansas, is another positive step—although the use of the cadre of a modular brigade combat team is only a stopgap measure. The Army National Guard and Army Reserve have shouldered much of this burden in OIF (and OEF); they might be well suited to take on this mission and maintain a surge capacity on a permanent basis. Consideration should be given to creating a standing organization with the mission to be prepared to conduct these kinds of large-scale training, equipping, and advising functions.